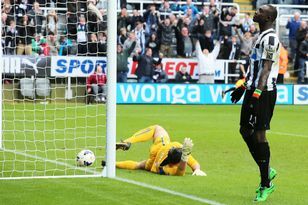 Steven Taylor has claimed Newcastle United have already proved there is life after Yohan Cabaye. The Magpies were bright in their first game since their French talisman left to join PSG. And defender Taylor is adamant they can survive – and keep showing their critics that they are far from a one-man team. “We have such a strong squad that, as we showed at Norwich, no matter who gets picked they will perform,” he said. “Things happen in football, a player goes out, a player comes in. “We responded very well (to Cabaye going) and that will keep the nationals and other press quiet. “You were expecting us to get beat so you could get right into us but we killed you and your back pages. Taylor suggested there was a siege mentality at St James’ Park and that they were fighting to prove their manager’s faith in them was not misplaced. “We knew if things didn’t go for us the nationals would have a field day but we put on a very good performance, we are pleased and the manger is delighted with us,” he said.